50% Off Houston Mini Maker Faire Tickets, #hackfriday Only! « Adafruit Industries – Makers, hackers, artists, designers and engineers! 50% Off Houston Mini Maker Faire Tickets, #hackfriday Only! In celebration and support of Hack Friday, our friends at the Houston Mini Maker Faire are giving a 50% discount on tickets. This offer ends at midnight, so grab it while you can! 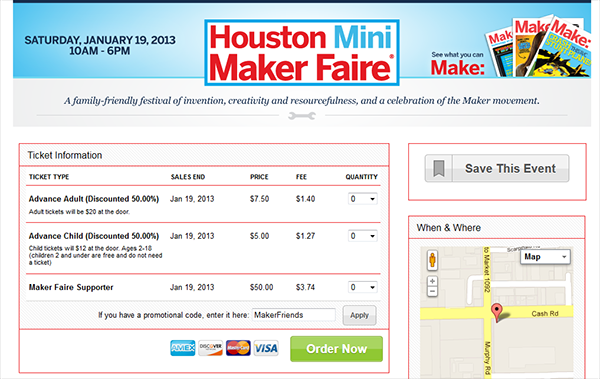 Comments Off on 50% Off Houston Mini Maker Faire Tickets, #hackfriday Only!